The Overview Report for Twitter Profiles is only available on our Business Plan. Learn more about our plans and pricing here. The Overview Report provides insight into your overall engagement levels. The tables and charts throughout this report are designed to give you at-a-glance insight into how you’re performing over a specified date range. This report helps you to answer questions like how many impressions and engagements your posts have received, how your number of followers is growing over time, and which hours of the day your audience is most active. Keen to see Analytics and Reports in action? Join a webinar here! 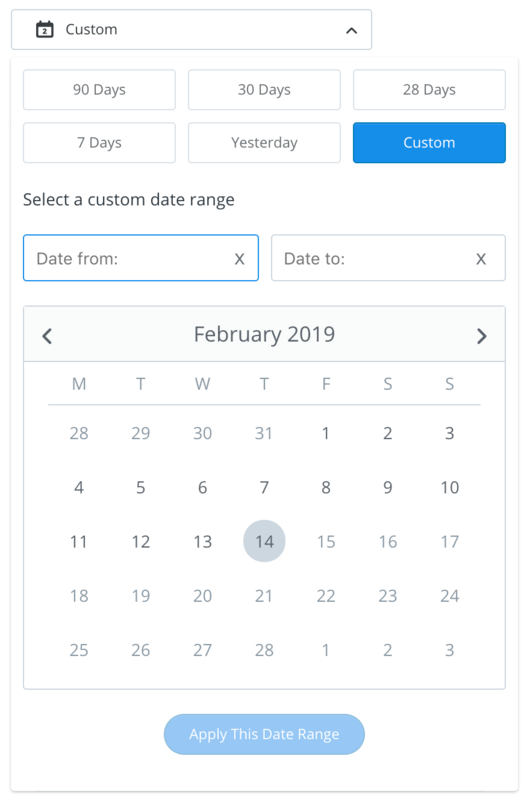 Use the date picker to choose a preselected or custom date range. This will be reflected in the tables and charts throughout the report. All of the data can be exported to both CSV and Images, using the buttons at the top right of the report. Both of these options will generate a Zip folder of each report displayed on the page. This table shows aggregate metrics for all tweets sent during the selected date range, including native tweets. It's designed to give you at-a-glance insight into you you're performing. Check this table regularly to build up your long-term intuition on overall performance! 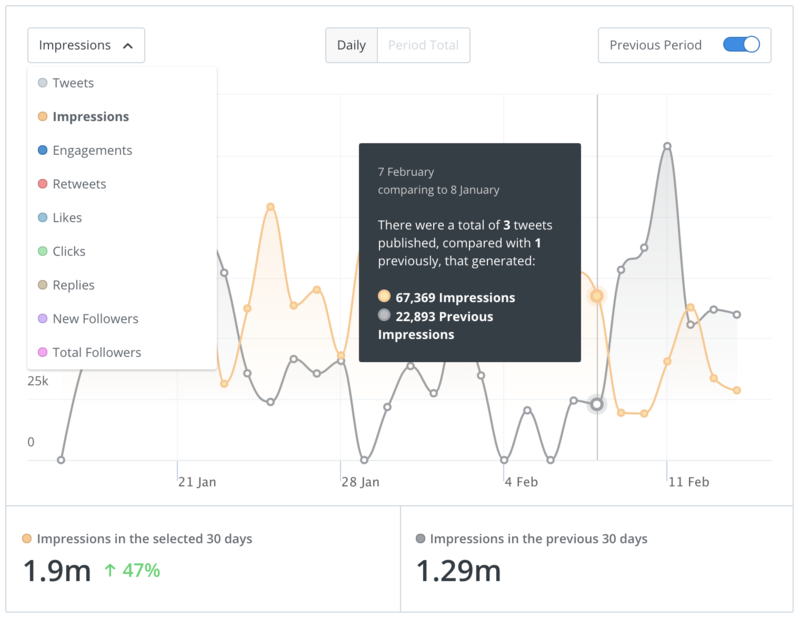 This chart allows you to view and compare performance metrics and followers over time. You can choose to view the performance for the previous period as well, which will allow you to compare metrics for the same amount of time immediately proceeding the selected date range. In the legend at the bottom of the chart, you will find the total number of the chosen metric over the selected date range. This chart shows you a breakdown of the engagements you earned, by the hour, for all the tweets sent in the selected date range. The bottom portion of the chart shows you during which hours your tweets were actually sent. This table shows you the average performance per tweet, for all of the tweets sent during the selected date range. This table shows you the top 10 best-performing tweets, sorted by impressions. Use this table to review your most effective tweets. You can find a detailed description of each metric here. Native tweets are included in the Overview Report. Data on anything you publish on Twitter directly, or through another third party app, will be shown in the Overview Report. 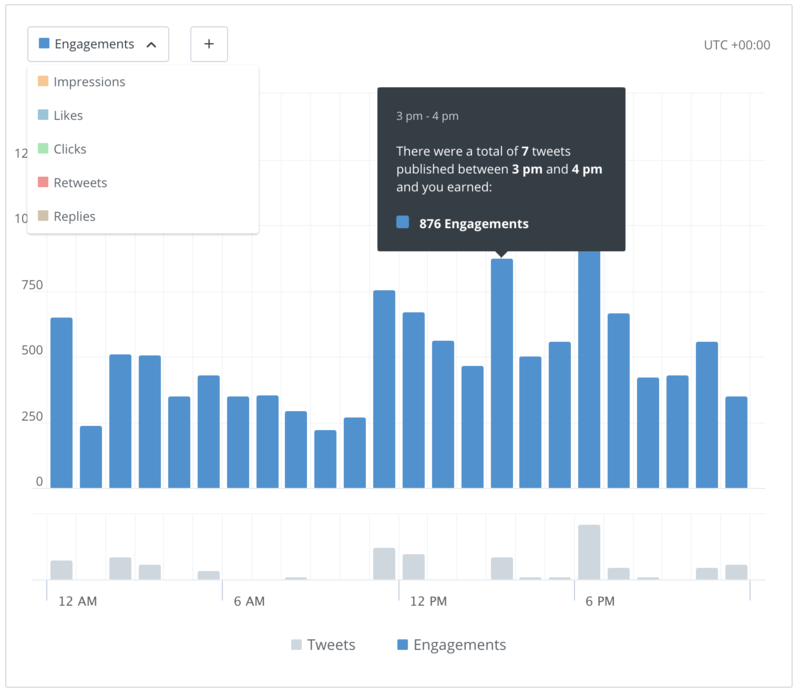 All of the data Buffer Publish gets from Gnip is on a per-tweet basis and we're only able to check for new engagements a limited number of times on each tweet. In practice, we're able to get data for seven days following a tweet being published. That means if you sent a tweet on Monday, we’ll keep checking it for new engagements and impressions until the following Sunday. After that, we can no longer re-check the tweet, and from then onward, its metrics will remain the same within Buffer Publish. Analytics are never deleted so you'll always be able to customize the date range as far back as you'd like. 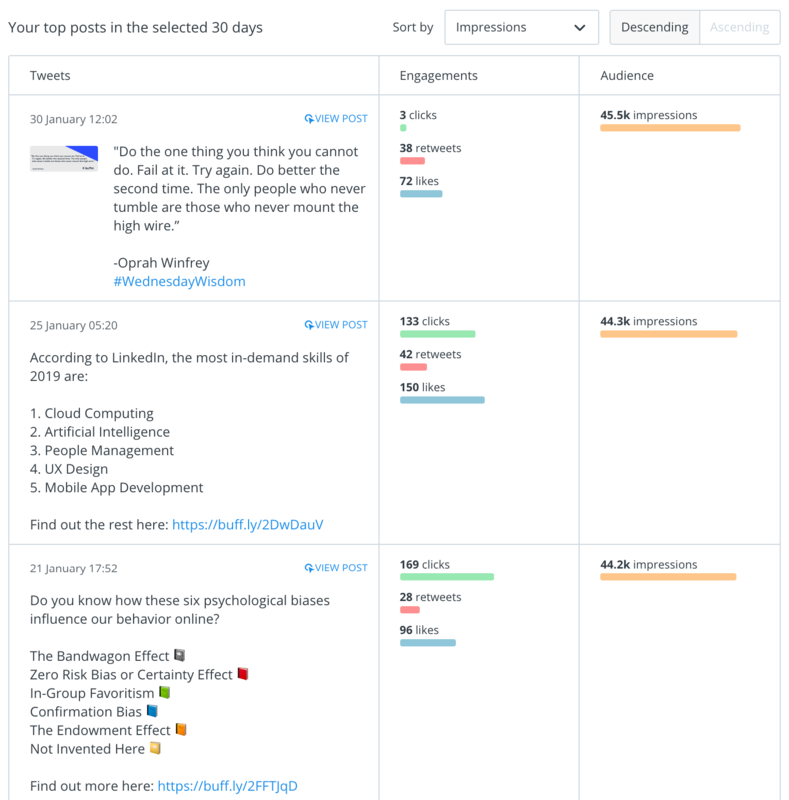 When you subscribe to a Business Plan, or connect a new Twitter account and you’re already on a Business Plan, Buffer Publish will backfill the past 100 native tweets within a 28 day range. What could cause discrepancies between the data seen in the Overview Report here, and data in Twitter analytics? There are a couple of reasons you might see a discrepancy between the data in the Overview Report and the data in Twitter's native analytics. Please visit this link for more information.